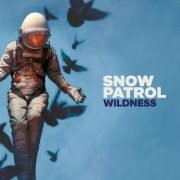 Making use of some of the days off on their stadium support tour with Ed Sheeran later this year, Snow Patrol have announced seven new headline shows in the United States and a special acoustic performance in Mexico City. Tickets for the show in Mexico will be available from 12pm CT on Thursday 2nd August here. General tickets for these shows are on sale now here.